Age 92 of Horseheads. She was born September 17, 1926 in Ithaca, NY, daughter of the late Oliver and the late Frieda (Wood) Pipher and passed away peacefully, surrounded by her family, on Monday, January 28, 2019. In addition to her parents Doris was predeceased by her brothers, Robert and Richard Pipher; great niece Emma Hunter; as well as her special friend Floyd “Bill” Moats. She is survived by her children, Larry (Christina) Krebs of Marathon, NY and Lori Cliburn-Cordi of Vestal, NY; dear grandchildren Brittney and Emily Krebs, and Tricia Cliburn; her sister-in-law Judy Pipher; brother-in-law Leonard Gray; nieces & nephews Tim Pipher, Vicci Frederick, Wendi Hunter, Neil Pipher, Richard Pipher Karen Wida, Scott Gray, Janet Martin, along with their spouses; her beloved canine companion Toby; and many extended family members & friends. Doris worked for several decades as a Medical Coding Supervisor for St. Joseph’s Hospital in Elmira. She enjoyed her time there so much that she remained there per diem even after her retirement. Outside of her work Doris took great pride in her family, her home, and her beautiful garden. 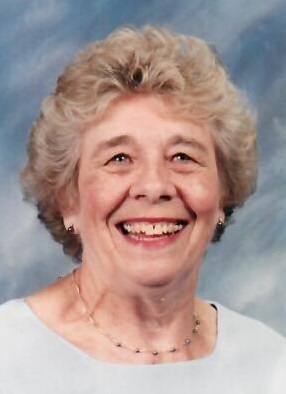 She is fondly remembered as a loving mother and grandmother. Always an optimist, and hysterically funny, Doris will forever be “always smiling”. In lieu of flowers, those wishing may make donations in her memory to the St. Joseph’s Auxiliary, via Arnot Health Foundations 571 East Market Street Suite 102 Elmira, NY 14901, or to a local animal shelter in recognition of Doris’s love for animals and pets. Family and friends are invited to visit the Barber Funeral Home, 413 S. Main St. in Horseheads on Saturday, February 23rd, 2019 from 2 pm to 4 pm. Her memorial service will take place at 4 pm. Committal and interment will take place privately at a later date in Woodlawn Cemetery, Elmira. Condolences at www.barberfuneralhome.com.